In an effort to continue improving outcomes for patients by reducing the number of secondary infections contracted while being treated in the hospital, the Centers for Disease Control and Prevention (CDC) have identified the most commonly touched parts of patient rooms. This is important, because commonly touched surfaces are the ones most at risk for transmitting infections. To minimize that risk, a number of measures are available, and to be most effective, each one should be targeted to a specific risk factor. For the most part, cleaning and disinfectant protocols can minimize the risks for surfaces like bedside tables and remotes, but for the curtains, there needs to be another alternative. Microorganisms have been shown in a variety of different studies to respond differently to different fabrics. Sometimes, they wind up being able to bond readily with the fibers of the curtain, allowing a bacterial colony to spread until it can infect an organism. Other materials discourage microbes from becoming attached, which makes it more difficult for them to breed and grow. 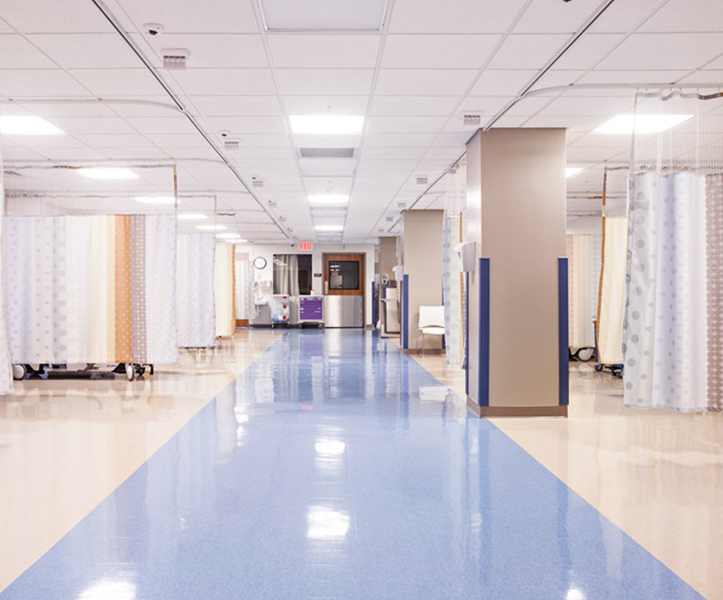 One of the best ways to manage infection risks in hospital settings is to use antimicrobial material that discourage the spread of infections on surfaces that are especially prone to them. This is already a fairly common practice in the construction of new restroom facilities, and the same kinds of gains can be made by using antimicrobial privacy curtains in a hospital setting. It takes cooperation between all members of a hospital’s team to reduce infections, and that means that those who are in charge of procuring supplies need to make sure they are purchasing the best and most effective solutions for the staff on the floor working with patients. That way, you know you have partners in effective risk management who can help you keep your patients safe.